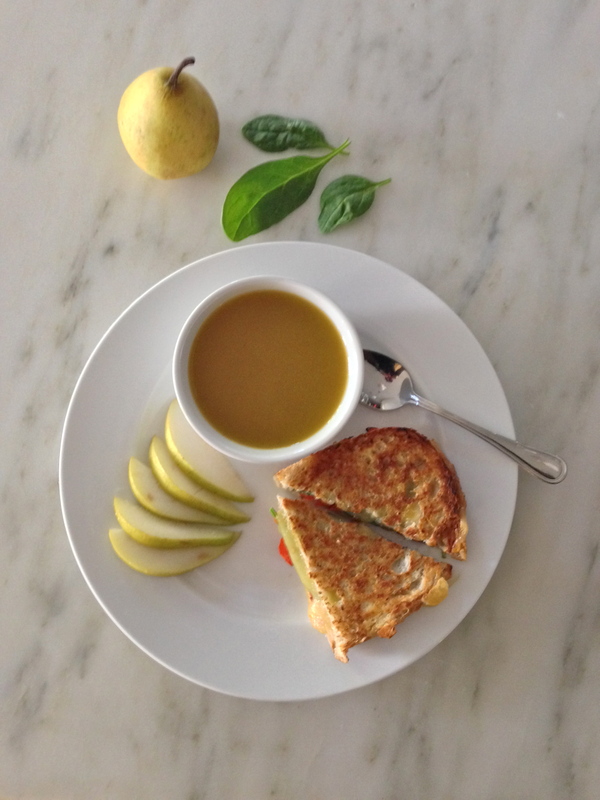 With the busy holiday season upon us, I was able to quickly make a family favorite, grilled cheese sandwich, with the delicious and spicy organic pepper jack cheese I already had in my refrigerator. I added fresh spinach and red bell pepper to enhance the flavors and to make it healthier. Completing the meal, I served it with butternut squash soup and sliced pear. It was a hit with my daughter and husband! Cook sliced bell pepper on a nonstick frying pan, stirring frequently, set aside. Butter lightly one side of 2 pieces of bread. Place a layer of thinly sliced cheese on unbuttered side of one piece of bread. 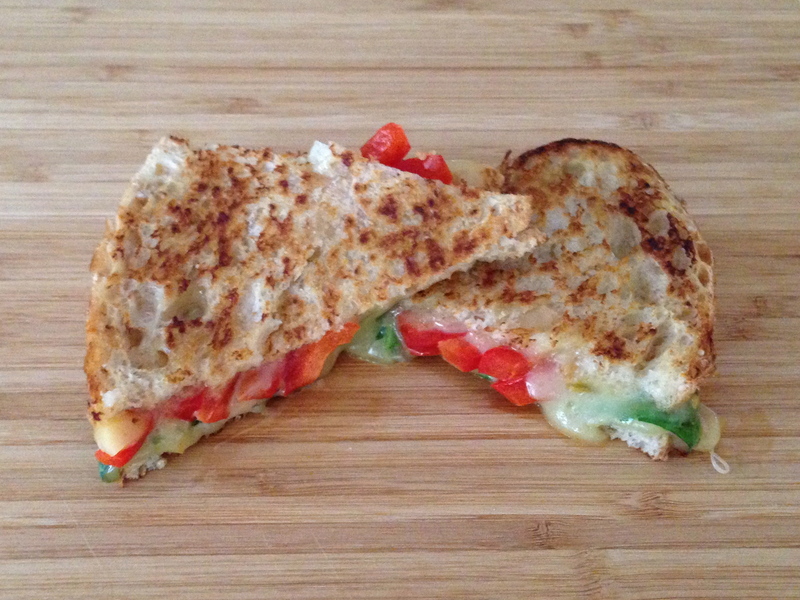 Place spinach on top of cheese, followed by a layer of cooked bell pepper. Add another layer of thinly sliced cheese. Finally, top with second piece of bread with the buttered side on the outside. Using same the nonstick frying pan, carefully put sandwich in pan and gently press down with spatula a few times during the grilling process. Grill until nicely brown. Slice in half and serve immediately.